Description: Summer vacations usually run really fast. Hero of the game is already on the third week of it and it's time to go to the beach and enjoy his free time. 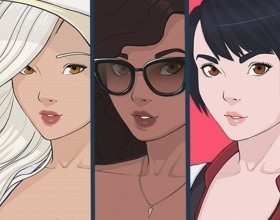 You can select 2 girls (3rd is only for Patreons) and have some fun in the summer. Wow! it's so fun and relaxing, i think this is the most enjoyable game i've played so far :) Keep up the good work ! !